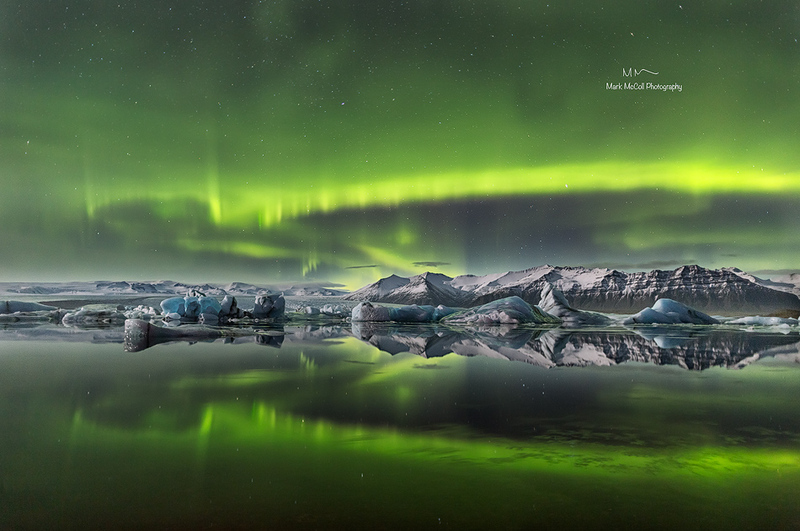 Stunning aurora and reflections at Jokulsarlon glacial lagoon, Iceland. The first night of one of several winter trips to Iceland that I've done. I was on my way to a nearby hotel and still in travelling clothes, but that didn't deter me! Just as well as I didn't see any more aurora the rest of the trip.